Nick Schlieper. 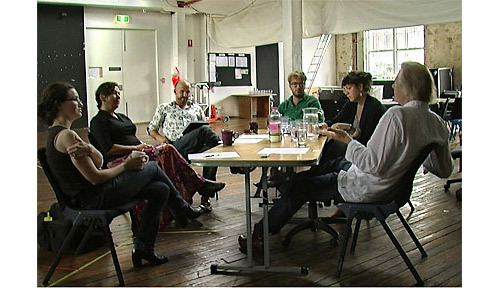 Belvoir St Theatre, Upstairs Rehearsal Room (Video grab). 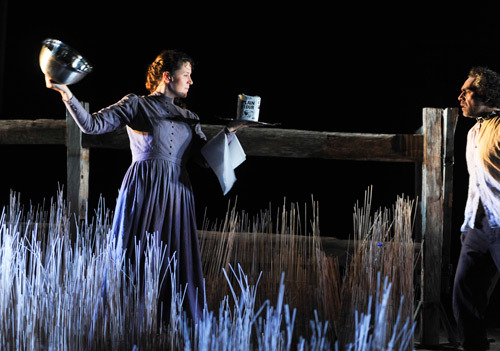 Round 2: Anita Hegh, John Gaden and Ewen Leslie in the Belvoir production of The Wild Duck, 2011. Director: Simon Stone. 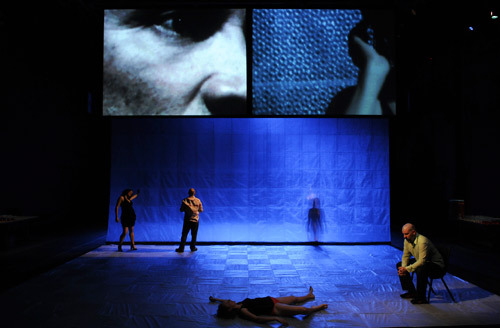 Designers: Set – Ralph Myers; Costumes – Tess Schofield; Lighting – Niklas Pajanti. Round 3: Clare Britton and LeRoy Parsons in My Darling Patricia’s Posts in the Paddock, 2011. Directors: Clare Britton & Halcyon Macleod. Installation artist: Fiona Foley; Lighting Designer: Chris Twyman; Puppet Designer: Bryony Anderson;Video Artists: Michelle Blakeney & Samuel Jones. 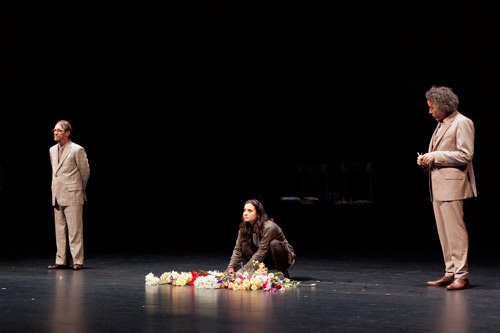 Round 4: Kim Gyngell, Andrea Demetriades and Marco Chiappi in STC’s Pygmalion, 2012. Lighting – Damien Cooper; AV – Sean Bacon. in version 1.0’s This Kind of Ruckus, 2009. Christopher Ryan, Yana Taylor, Kym Vercoe and David Williams with Stephen Klinder. Video Artist: Sean Bacon; Lighting Designer: Neil Simpson. 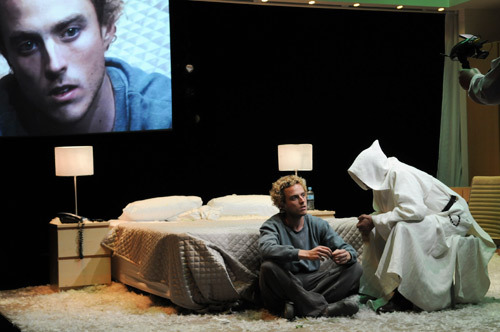 Round 6: Chris Ryan and Robert Menzies in Belvoir’s Measure for Measure, 2010. Lighting – Nick Schlieper; Video – Sean Bacon.